I recently interviewed Curtis Mark Williams (left) for the Shark Tank Blog. He's the co-founder of Bellybuds, earbuds for babies in the womb. 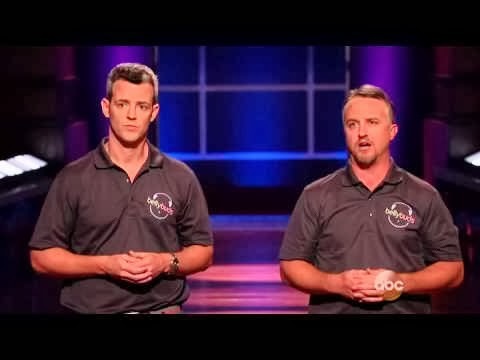 He and his business partner Matt Von Waaden appeared on the TV Show, Shark Tank recently. They didn't get a deal, but their product is FLYING off the shelves! "Yes. There's very little I won't put on a hot dog. I live about two blocks from Pinks, so I've tried just about everything." OH THESE LA TYPES! Maybe if Curtis loses the ketchup, he can get on the Pinks Wall of Fame!